We have this amazing Meyer lemon tree that came with our house. Each year we try to freeze lemons to last the year. I like to use frozen lemons in a variety of ways to I like to freeze lemons in a variety of ways. I freeze whole lemons, lemons slices, and lemon juice. You can freeze lemon zest but I find I like it better dehydrated. 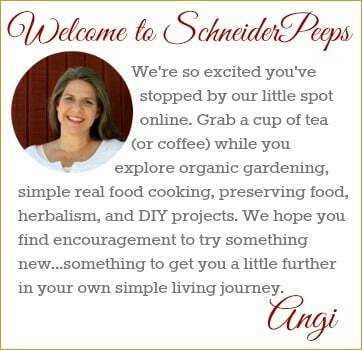 In addition to freezing lemons, I also make preserved (fermented) lemons and dehydrated lemons. 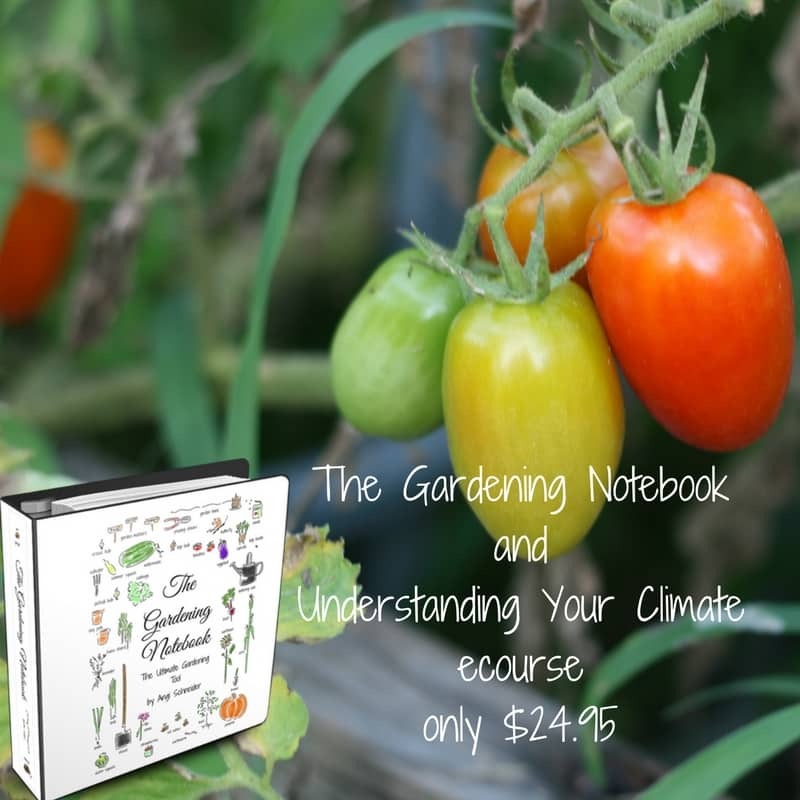 I keep track of my preserved food with these worksheets. You can get them emailed to you by filling out the form below. It’s nice to have all that information of what I preserved each year in one place. Since we grow our own lemons or get surplus from neighbors who grow their own lemons I know they haven’t been sprayed. I don’t feel a need to do more than a quick washing of the lemons to prepare them. Birds like to nest in our tree so there’s often bird droppings on some of them. Our chickens like to hang out under the tree and kick up dirt with sticks to the lemons. So, I wash them in a sink of soapy water. If you’re using store bought lemons you might want to wash with a bit of apple cider vinegar or vegetable wash. You’ll need to do your own research and decide the pros and cons of it all. 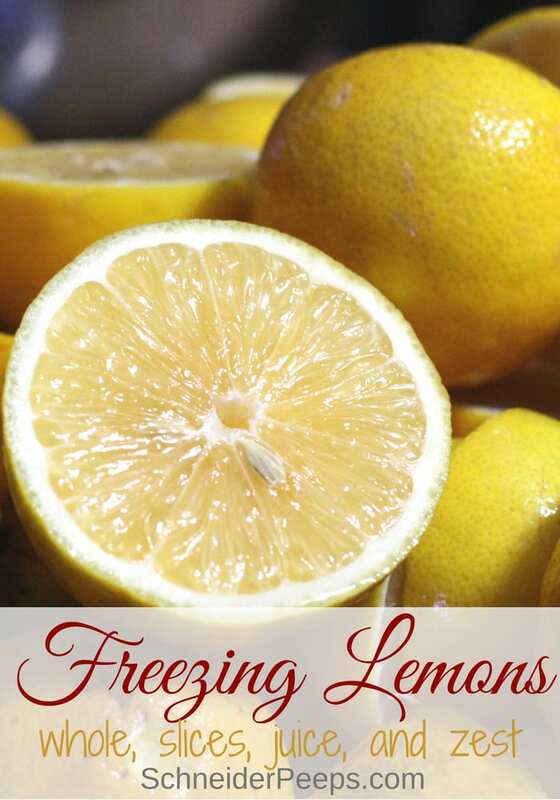 Freezing lemons whole is the easiest way to preserve lemons. After preparing them, dry them off and toss them in the freezer. If you have more than one or two lemons you’re freezing, put them in a ziplock bag so they stay together. If you have lemon that you’re not going to use before it starts to shrivel up, just toss it in the freezer to preserve it. I freeze 10-12 this way each year to use during the winter for my homemade cold and flu remedies. They work great! 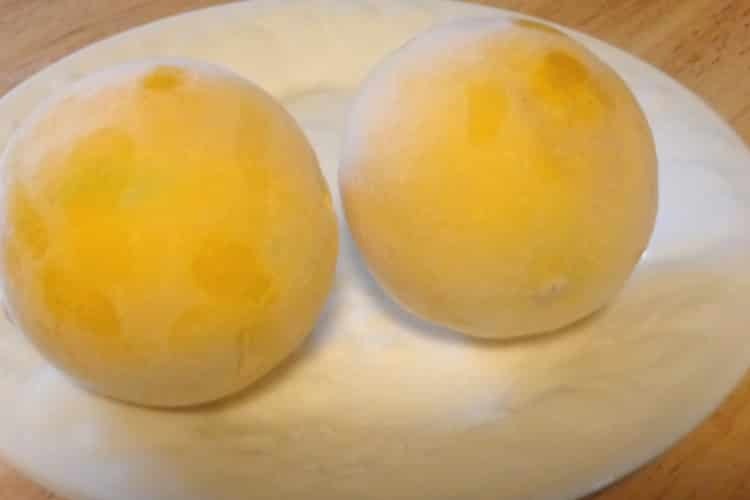 When frozen lemons thaw out the texture is kind of mushy, so be aware of that. But the flavor is the same as fresh lemons. In addition to using frozen lemons to make homemade remedies, you can grate a whole frozen lemon. Once the lemon is completely froze, use a cheese grater to grate the whole thing. You’ll want to wear an oven mitt for this because it’s hard to hold a frozen lemon for long. Then put the frozen grated lemon in a bag or jar and put it back into the freezer. When you want to season a dish or your water put a spoonful of the frozen grated lemon in it. This gives you the benefits of the juice and the rind. The essential oil is in the rind and it has some great healing properties – but the vitamins are in the juice and that has some great healing properties. If you’re in the habit of putting drops of lemon essential oil in your water each day (which I don’t recommend, by the way), using frozen grated lemons instead will give you all the health benefits of lemon and is much cheaper and environmentally friendly. You can freeze lemon slices the same way you freeze cucumber slices. Of course frozen lemon slices are great for infusing water but they can also be used for cooking fish or chicken or used as a garnish. 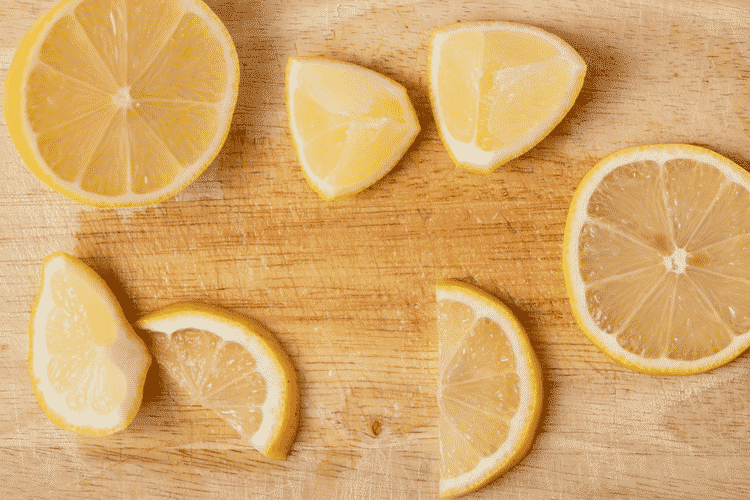 When the lemon slices thaw out, the juice will most likely be released from the pulp cells. The juice expands when frozen and the cells can (and probably will) burst, especially if the lemons are super juicy like Meyer lemons are. That’s totally fine if you’re dropping a frozen lemon slice into water. It’s not so fine if you’ve laid the bag of frozen lemon slices on the counter and forgot and they all thawed out. If you’re using them to bake fish, put the lemon slice on before it thaws out, then the juice will permeate the fish while baking. If you’re using it as a garnish and don’t want lemon juice puddling, thaw the lemon slices on a separate plate and then add them as a garnish. One of the first attachments bought for my KitchenAid Mixer was the citrus juicer. It’s wonderful for all the lemons we have. Before that we used a hand held juicer like this. 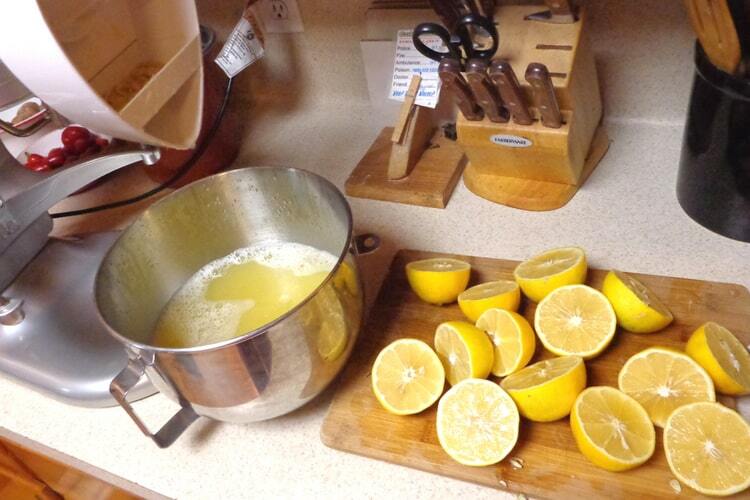 We still use the hand held juicer if we’re just going to be juicing a few lemons. I mainly freeze our juice in 16 ounce plastic cups. I have a set of reusable plastic cups that we use for large gatherings. Lemon juice can also be frozen in ice cube trays, which I’ll do a few of. But since we mainly use the frozen lemon juice for lemonade I like the cups better, I use one block of frozen lemon juice to make a gallon of lemonade. To freeze lemon juice in the cups or ice cube trays, fill the cups (or ice cube trays) with lemon juice and put them int he freezer overnight. Once they’re completely frozen, run warm water over the cup to thaw it out just a bit. The juice block should be able to be popped out of the cup when you squeeze the cup. Put the frozen lemon juice blocks in a ziplock bag (I can usually get 4-5 blocks per bag) and store in the freezer. You can freeze lemon juice in glass if you’re not using plastic. Just leave about a couple of inches head space and don’t put the lid on until they are frozen. Also, shorter jars with wide mouths work best for freezing. Here are some more tips for freezing in glass containers. I also fill a few cups with lemon slices and lemon juice poured over them to freeze. When we have a party, the lemonade has fun lemon slices floating in it. I mentioned earlier that freezing lemon zest isn’t my favorite way to preserve it; I prefer to dehydrate it. But it is possible to freeze lemon zest and lots of people like to preserve zest by freezing it. 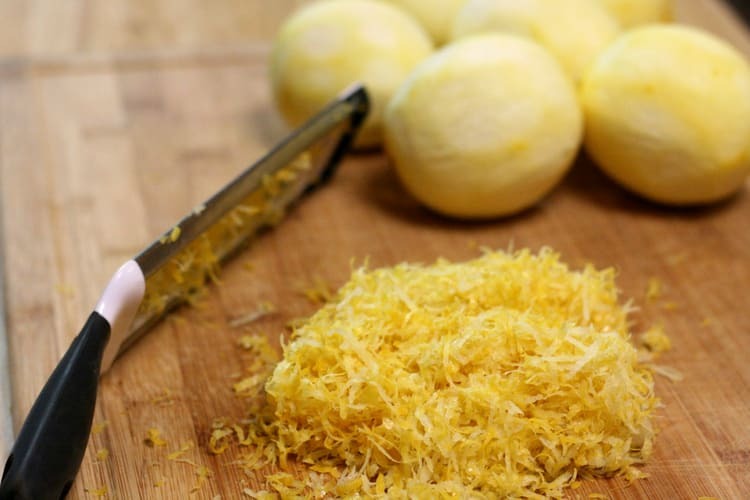 Having a zesting tool to zest lemons is really great because a regular grater will often dig too far into the pith which is the bitter white part on the inside of the lemon peel. The pith is great for digestion which is another reason why using a whole grated frozen lemon is good for your health. But when I am baking with lemon zest, I really don’t want the bitter taste of the peel. Put lemon zest in a mason jar or ziplock bag and store in the freezer. 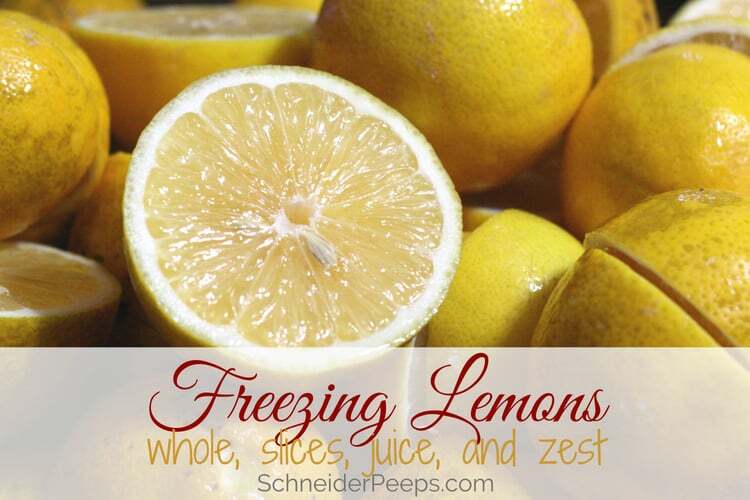 Just like the frozen lemon slices, when frozen lemon zest thaws out it releases the oils. So don’t leave the jar of frozen lemon zest out long enough to thaw out. I’ve done this and it’s a huge bummer to see a years worth of lemon zest no longer usable. That’s why I now dehydrate lemon zest. Do you have any lemon tips to share with us? Leave them in the comments so we can all learn. Yum! I love fresh lemon, not only for cooking, but for cleaning and deodorizing too. Great to know they can be frozen whole! I know, lemons are so very versitile. Do you guys grow them? I didn’t know you can freeze them whole! This brings a whole new light on the subject! However, we have been getting hard freezes here this past week, which is unusual for Northern California. 🙁 I don’t think my orange or lemon trees are going to make it, especially since it just keeps getting colder! Ah, well, we have tarped it and put Christmas lights on it, so we have done what we can. We will just have to see! Thanks for the lemon tips! I KNOW! My life was changed when I found that out. I hope your trees make it. I like the Christms light idea. I do have line trees and I make tea mix lime juice and freeze it for the busy days .i use mine within a week but I live in hot Chennai where it is only hot hotter and extremely hot no first or snow but November to Jan are mild cool . Can I order Meyer Lemons? Hi Jennifer, I’m sure you can. We don’t sell our lemons at this point and don’t personally know of anyone who does. But I bet if you did an internet search you can find someone. 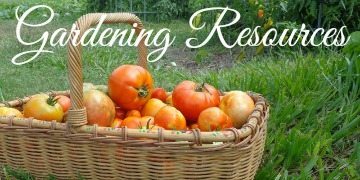 They won’t be ripe until around Thanksgiving so you have some time. Meyer lemons will also grow in a large pot indoors so you might be able to grow your own. lemons are useful in whitening and stain removal on white linens and white cotton clothing. full sunny day then wash as you normally would. Thanks for the tip, Kathy! Do you know if limes can be preserved this way as well? Yes, any citrus can be preserved this way.